February is a lovely month to celebrate and I am a little obsessed when it comes to decorating for Valentine’s Day. I tend to decorate my walls, halls, and especially my mantel. Using just a few supplies from Dollar Tree, I was able to create a LOVEly display that is festive, yet elegant! Read on to learn how I created this budget-friendly DIY Valentine’s Day mantel. Vase Filler – Beads, Marbles, etc. Additional supplies you find to make it your own! Set the mood throughout your home, beginning with a transformation in your living space. As the mantel sits at the center stage, make it all about flowers, hearts, and spreading the love! Scatter a variety of different height vases, bottles, and floral to anchor your vignette. 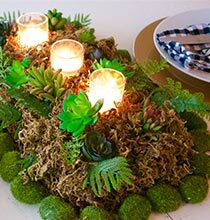 Fill it in with votive candles and lanterns for a romantic ambiance. 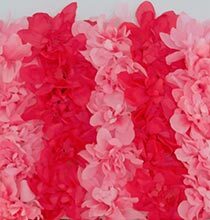 Add ombré colored heart shaped paper cut outs to dress up the wall or a mirror. Pull the whole look together with a DIY banner using ribbon, paper, twine, stencils, and paint. 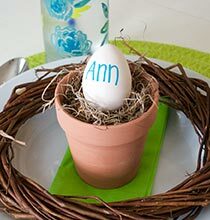 Have fun with your own personalized creation and enjoy this delightful setting all month long! 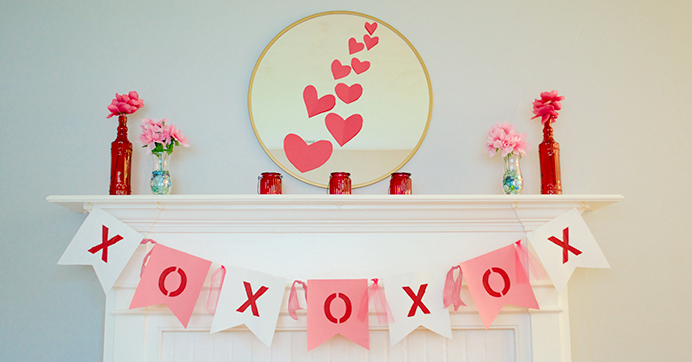 Need some additional Valentine’s Day décor ideas? Check out these lovely faux floral arrangements!